Ski boots attach to skis. 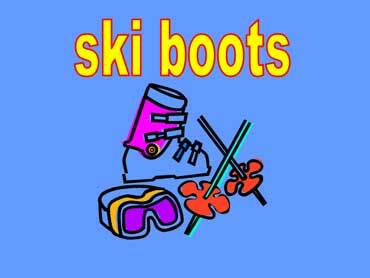 Ski boots have clips that lock the boot onto the foot. They are lined and keep a skier's feet warm. 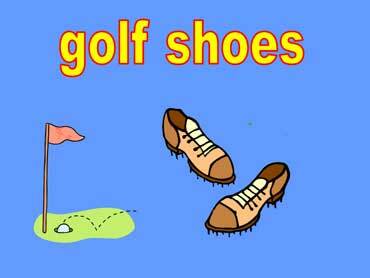 Golf shoes are designed for golfers. They have metal spikes on the bottom of their soles. The spikes help golfers maintain their balance with they swing at golf balls. 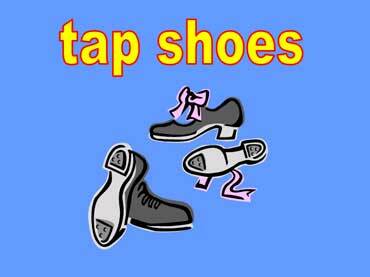 Tap dancers wear tap shoes. Tap shoes have cleats on the bottom. The cleats make noise as the dancers dance.